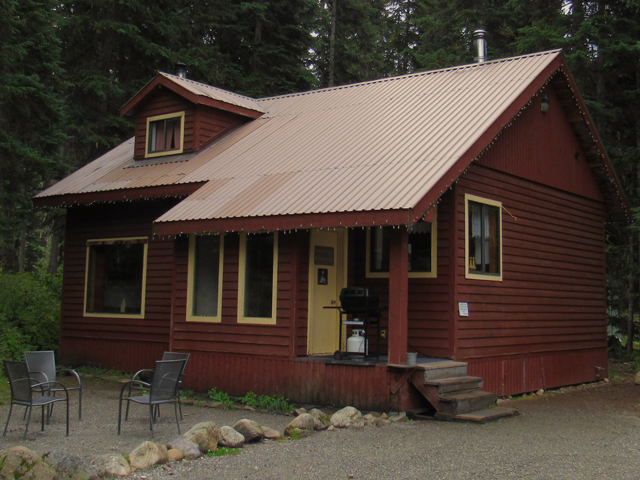 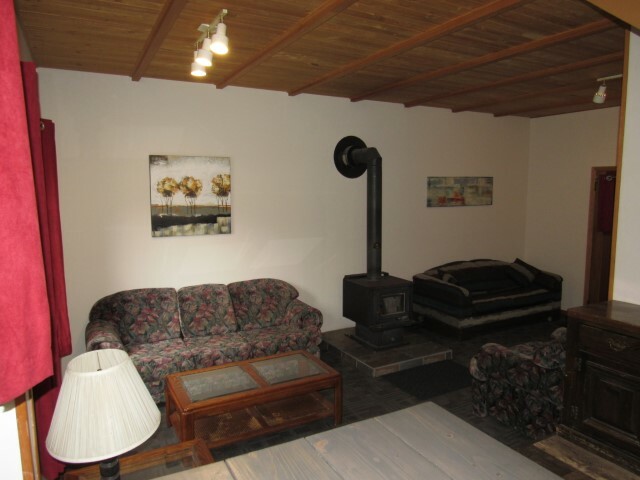 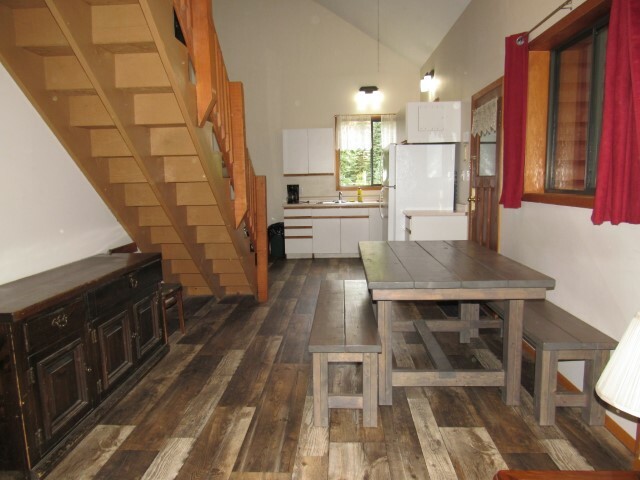 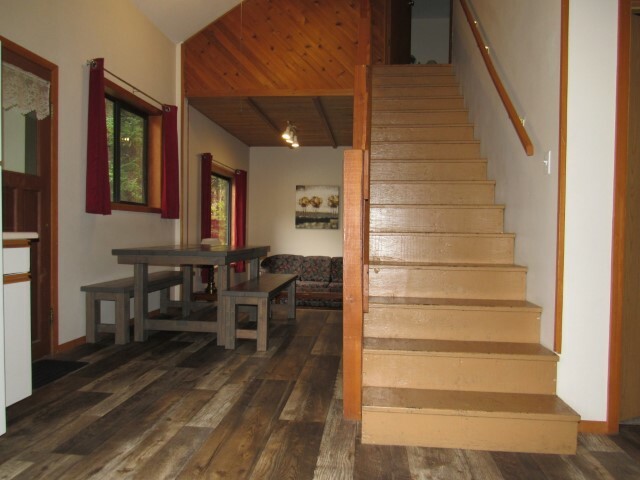 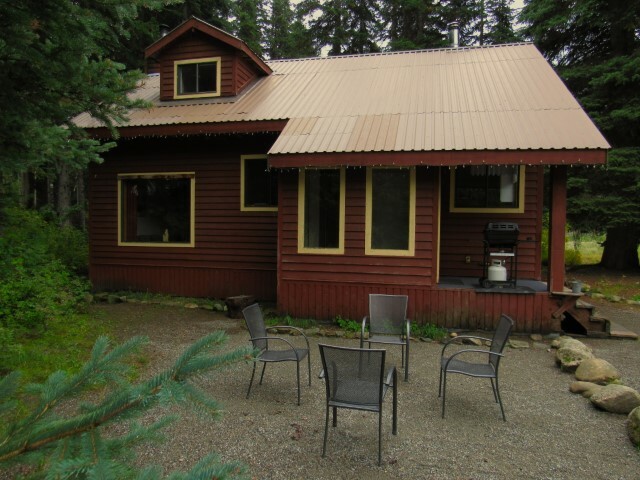 This cabin sleeps up to 6 adults with two queen sized beds, three full size beds (one hide-a-bed), and two single size beds. 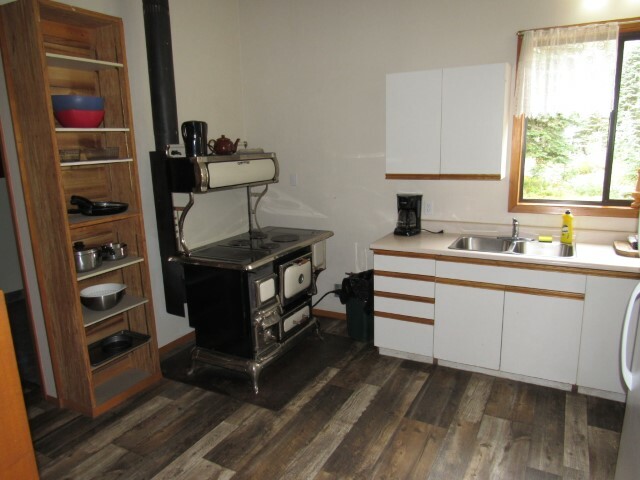 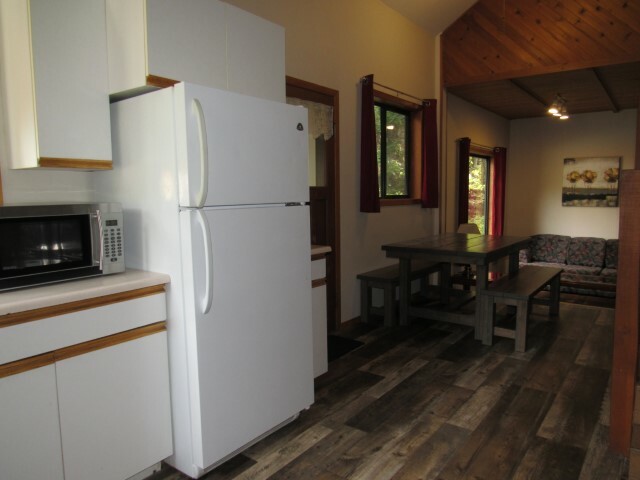 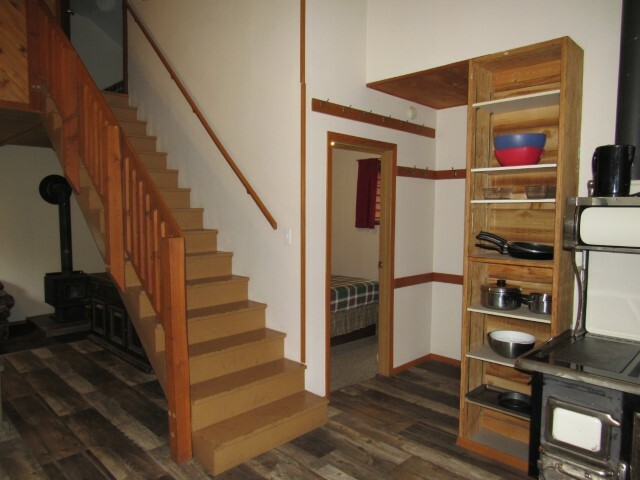 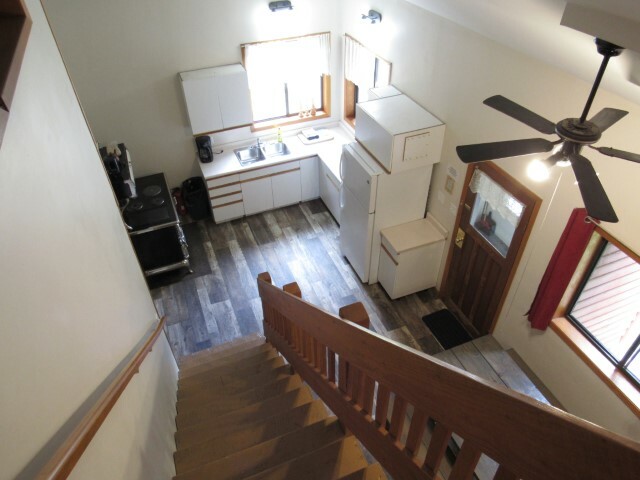 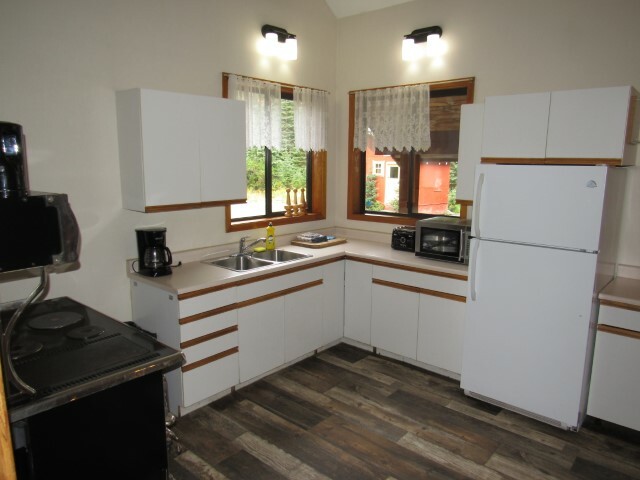 It has a full kitchen with appliances including a fridge, stove, microwave and also a BBQ**. 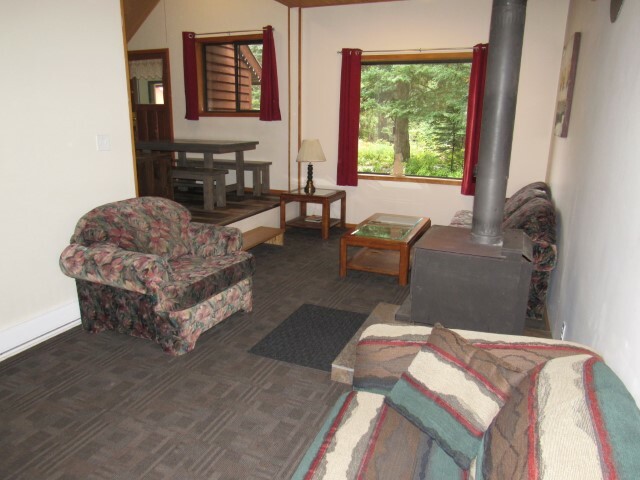 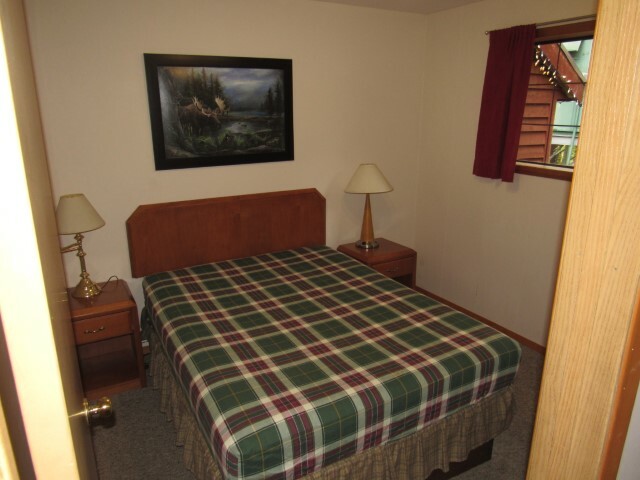 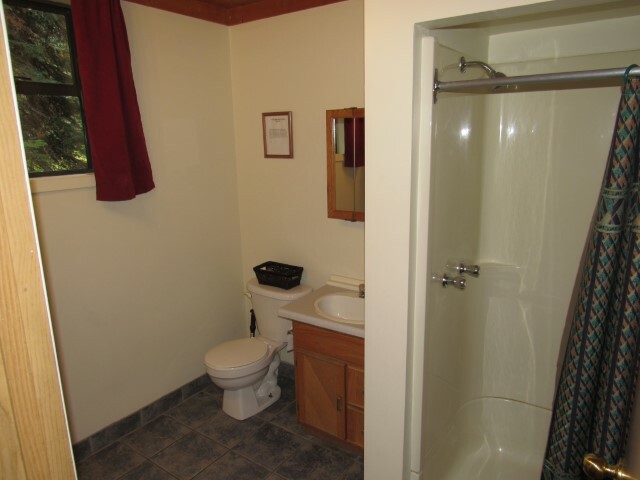 Note: This cabin's rates are based on 4 people. 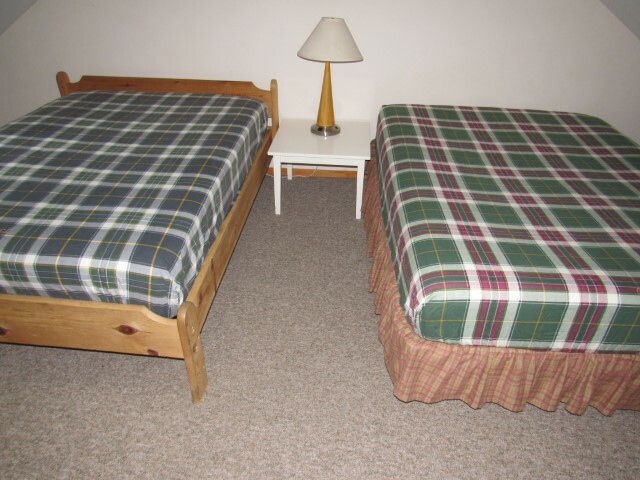 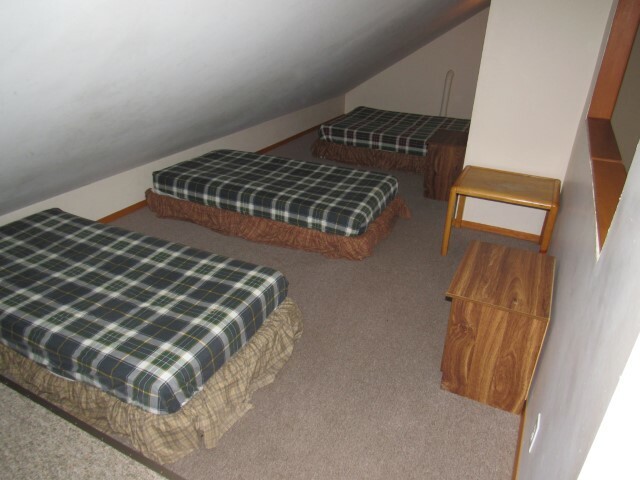 Additional person(s) are $20.00 each person up to a maximum of 6 adults.